It’s actually a lot cooler than it looks. We’re not going to lie. 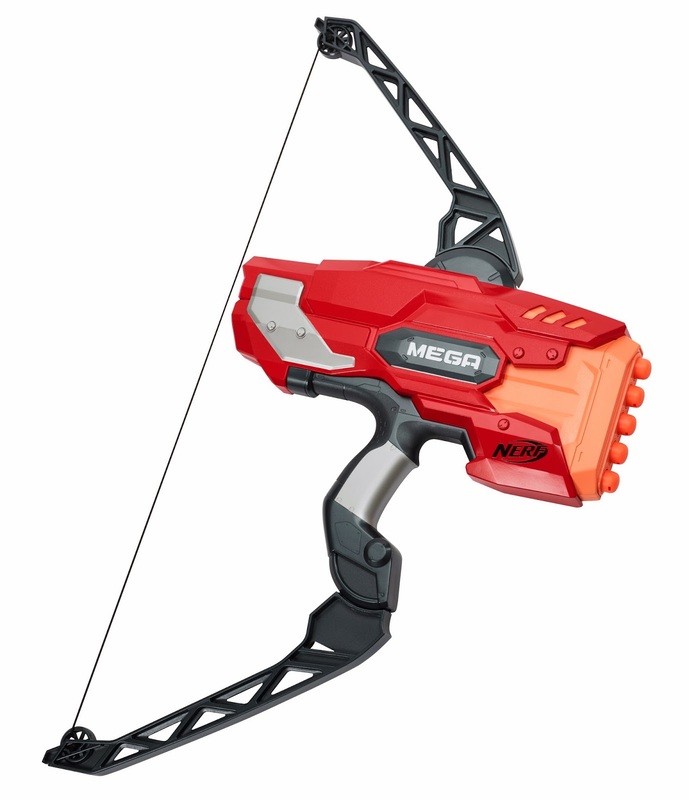 When Hasbro first announced the Nerf Mega Thunderbow, we thought the Mega brand had already jumped the shark. For starters, the proportions of the Thunderbow just looked goofy. And to some degree, it felt like Hasbro was just blatantly trying to ride the wave of culturally-inspired bow-like products that are currently hitting the market, rather than giving Nerf Nation what it really wanted—a flagship Mega product that didn’t embarrass itself like the Centurion. We still feel the same way. However, after having spent some hands-on time with the Mega Thunderbow at the American International Toy Fair in the off-site Hasbro exhibit, we came away with a newfound respect for the Mega line’s first bow-based product. The progressive pull back system gives the toy a very tactile quality, which is paid-off by being able to fire the huge, whistling Mega darts up to a claimed 100 feet (the first time this kind of range has been claimed by any Nerf product apart from the Centurion). Awesome NERF MEGA power and performance transition from blaster to bow with the addition of the N-STRIKE MEGA THUNDERBOW toy. The bow’s dynamic arms and traditional pull back system can fire five NERF MEGA whistler darts in a row up to an amazing distance of 100 feet. Includes 10 MEGA Whistler darts and holds up to five NERF MEGA darts at a time. Available at most major retailers nationwide and HasbroToyshop.com. We’re still disappointed that no new Mega products were introduced at Toy Fair, nor did we see any real “flagship” products for the Nerf line, in general (sorry, Hasbro, no one is viewing the Cam ECS-12 as a flagship). Nonetheless, our hands-on time with the Thunderbow tells us it likely won’t be an outright disaster, as it’s still a pretty fun toy overall. Check-out the video below for our on-the-fly impressions, and tell us if this is one you plan to add to your own arsenal. This entry was posted in Throwback on February 26, 2014 by PMindemann.